The project delivers insight to researchers, policymakers and the public worldwide. The National Science Foundation this week announced it has awarded a five-year, $220 million contract to a coalition of academic and oceanographic research organizations, including Rutgers University–New Brunswick, to operate and maintain the Ocean Observatories Initiative [OOI]. The coalition, led by the Woods Hole Oceanographic Institution with direction from the NSF, includes Rutgers, the University of Washington and Oregon State University. The initiative includes platforms and sensors that measure physical, chemical, geological and biological properties and processes from the seafloor to the sea surface in key coastal and open-ocean sites of the Atlantic and Pacific. It was designed to address critical questions about the Earth-ocean system, including climate change, ecosystem variability, ocean acidification plate-scale seismicity and submarine volcanoes, and carbon cycling. The goal is to better understand the ocean and our planet. Each institution will continue to operate and maintain the portion of project’s assets for which it is currently responsible. Rutgers will operate the cyberinfrastructure system that ingests and delivers data for the initiative. The initiative supports more than 500 autonomous instruments on the seafloor and on moored and free-swimming platforms that are serviced during regular, ship-based expeditions to the array sites. Data from each instrument is transmitted to shore, where it is freely available to users worldwide, including scientists, policy experts, decision-makers, educators and the general public. “Rutgers is proud to be a part of this transformative project that provides scientists and educators across the globe access to the richest source of real-time, in-water oceanographic data,” said David Kimball, interim senior vice president for research and economic development at Rutgers. Over the last three years, the Rutgers team led by Manish Parashar, director of the Rutgers Discovery Informatics Institute and Distinguished Professor of computer science, designed, built and operated the OOI’s cyberinfrastructure. The team also included Scott Glenn and Oscar Schofield, Distinguished Professors in the Department of Marine and Coastal Sciences and co-founders of Rutgers’ Center for Ocean Observing Leadership, who led the Rutgers data team. From left to right: Manish Parashar, director of the Rutgers Discovery Informatics Institute and Distinguished Professor of computer science; Peggy Brennan-Tonetta, associate vice president for economic development at Rutgers’ Office of Research and Economic Development; and Ivan Rodero, project manager. 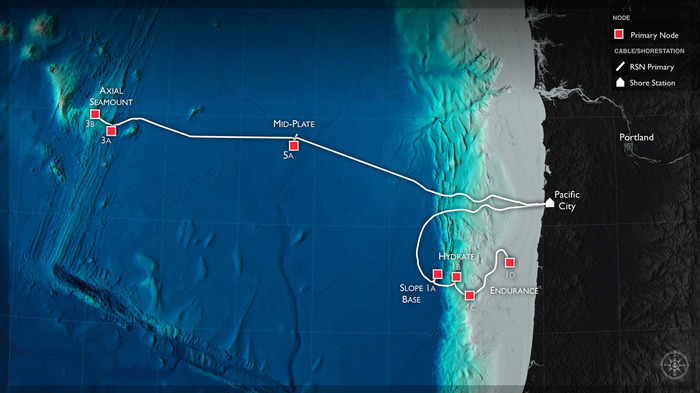 For the second phase of the OOI project, which begins on October 1 and runs for five years, Rutgers will receive about $6.6 million and will be responsible for maintaining the cyberinfrastructure and providing a network that allows 24/7 connectivity, ensuring sustained, reliable worldwide ocean observing data any time, any place, on any computer or mobile device. Peggy Brennan-Tonetta, associate vice president for economic development at Rutgers’ Office of Research and Economic Development, will serve as acting principal investigator. “Greater awareness and knowledge of the state of our oceans and the effects of their interrelated systems today is critical to a deeper understanding of our changing climate, marine and coastal ecosystems, atmospheric exchanges, and geodynamics. We are pleased to continue our involvement with this project that enables researchers to better understand the state of our oceans,” Brennan-Tonetta said.